This year I’m branching out and trying new cookie recipes to add to our usual list. Pecan balls, cherry winks, spritz cookies and sugar cookies all make an appearance in our kitchen every December. But I’ve already added two new cookies to the list. 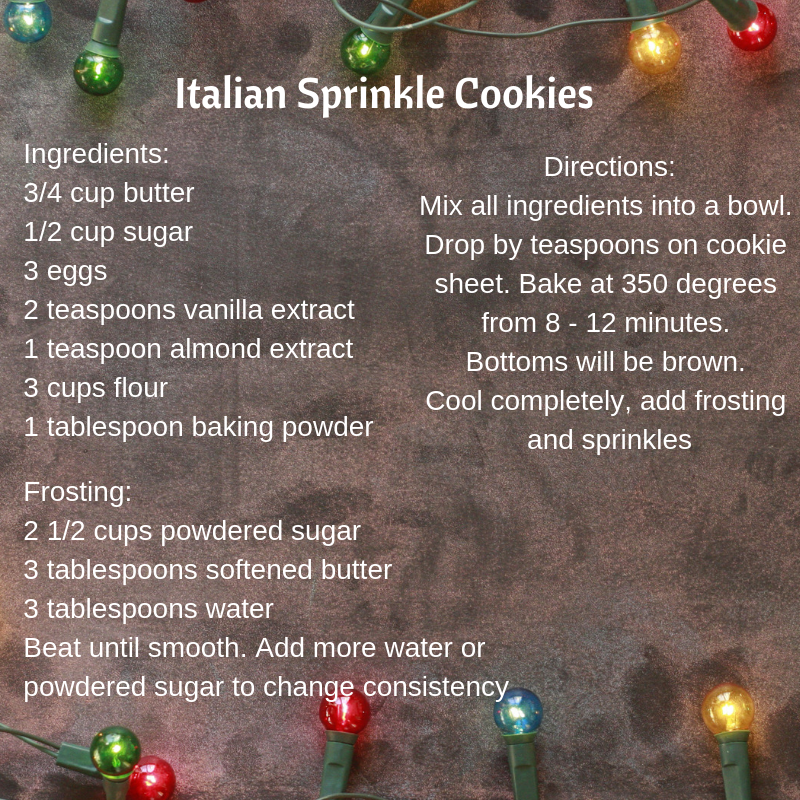 Peppermint Kisses – here’s the recipe. If you are a fan of Hersey’s peppermint kisses on a soft sugar cookie base, then this cookie is for you. These quickly become a favorite in our house. So delicious. I modified the recipe below. Here is the link to the original recipe on the blog: What’s Cookin’ Italian Style Cuisine.